What is a Bathtub Stool? A bathtub stool (also known as a tub seat, bath stool, or tub stool) consists of a water resistant, back-less bath seat with three or four legs extending down from below. Most have a slip-resistant seat and slip-resistant rubber stoppers or suction cup-style feet to prevent the stool from sliding. All models function to give users a place to rest while bathing. Some models, specifically the ones with a wide flat seat, can help to make getting in and out of the bathtub easier and safer too. Who Would Benefit From a Bathtub Stool? are unable to stand for long periods of time. 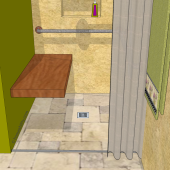 have the balance and strength to remain seated upright for the duration of the shower without a backrest for support. have the physical skills to sit down and stand up from the seat or alternatively the skills to transfer laterally from a wheelchair seat onto the stool seat. Standard Bath Stool: Most bath stools have a stationary seat and three or four legs that extend down from below. 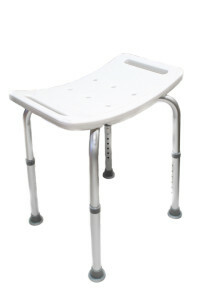 Bath Stool With Swivel Seat: Some bath seat models are equipped with a seat that swivels, making it easier to turn hips when getting in and out over the tub wall. Foldable Bath Stools: Some models are designed to fold-up making them easier to store out of the way when not in use and easier to pack when traveling. Bariatric Bath Stools: Some models are designed to support a higher weight capacity. They will often have cross-bars between the legs to provide added support and stability. Bath stool models can be found offering one or more of the features listed below. Adjustable Height Legs: The majority of bath stool models offer height adjustable legs. Some are adjusted via moving a button up and down notches at preset intervals along the leg, similar to what’s found on crutches. Others adjust by turning a screw-like mechanism found in the bottom of each of the legs. The latter type is better for tubs that have rounded edges at the bottom, because it allows for more fine-tuned adjustments to accommodate the varying heights of the tub floor. Feet: Most bath seats come equipped with rubber feet at the bottom of each leg, which helps to reduce the likelihood that the stool will slip away when you sit down. Some models have suction cup-style feet to help further prevent the seat from slipping. Handles/Armrests: The majority of bath stool models do not include handles or armrests, however, there are some that do. Handles provide a nice place to hold on when you are sitting down and a good place to push up from when you are standing up. 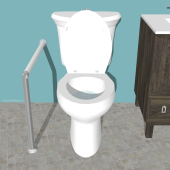 Of note, if handles are present, you will need to step over the bathtub wall to get into and out of the bathtub because when handles are fixed to the sides of the bath stool, it eliminates the possibility to back up and sit down on the bath stool before entering the tub, then from a seated position lifting the legs one at a time over the tub wall. 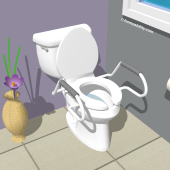 Bath Stool With Rotating Seat: Some bath seat models are equipped with a seat that rotates, making it easier to turn your hips when getting in and out over the tub wall. Bath Stool Materials: Bath stools can be found made entirely from plastic or entirely from wood. 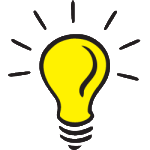 Or, they made be made up of a combination of materials, such as a plastic or wood seat with aluminum or steel legs extending down from below. Folding Bath Stools: Some models are designed to fold-up making them easier to store out of the way when not in use and easier to pack when traveling. Bath Stool Colors: The majority of bath stools are white or gray. Some models are available in fun, vibrant colors. The following are considerations to keep in mind when picking a bathtub stool. Height of Bath Seat: Bath Stool models will differ in the minimum and maximum achievable seat height ranges, so make sure to select one with a seat height adequate for your needs. Width of Seat: Selecting a model with the widest seat possible can make it possible for you to turn around and sit down on the seat while you are still standing outside the tub, allowing you to raise your legs over the tub wall from a safe seated position and thereby help to prevent the need to “step” in and out over the bathtub wall. 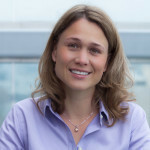 Seat Style: Some models have a contoured, slightly bowed shape, dipping down in the middle and curving upwards on the sides of the seat, while others have a completely flat surface. If you plan to back up and sit down on the seat prior to entering the tub to prevent needing to step into the tub, make sure to pick one with a flat sitting surface. A bath stool model with edges that curve upwards on the sides is more likely to tip if you sit down on it from the side. 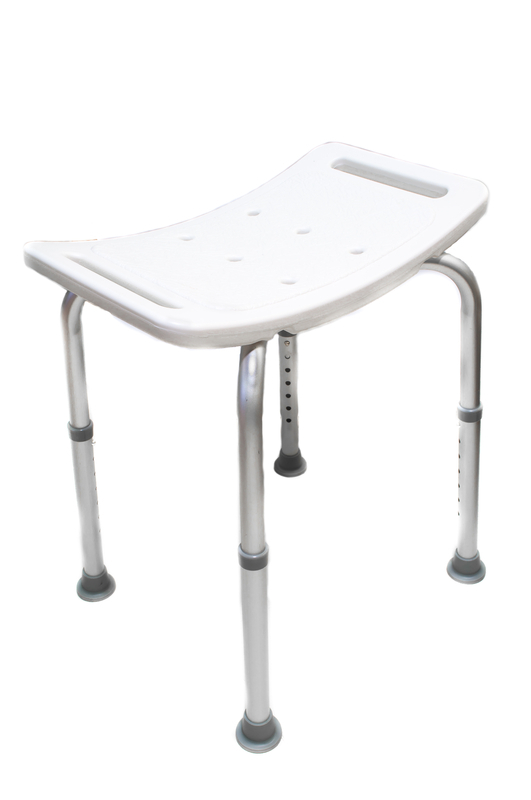 Bath Stools With Padded Seat: A model with a padded seat can be helpful for persons who are prone to skin tears or developing pressure sores on their bottoms. Interior Width of Tub: Bathtubs vary in their sized and dimensions as do bath stools. Make sure to measure the interior width of your tub and confirm both the stool’s leg width at the base and the seat width will fit inside your tub, prior to ordering. Stability: Bath stools with four legs will typically be more sturdy than bath stools with only three legs. Furthermore, the larger the bath stool’s base and heavier the stool, typically the more stable it will be. No Return Policy! Once you purchase it you own it! Due to FDA regulations bathtub equipment purchased in the USA cannot be returned (unless it is still sealed in the original packaging), therefore it is important to confirm the height, weight capacity, and features are appropriate for your needs prior to purchasing. Space permitting, we recommend selecting a bath stool model with a wide flat seat because it will provide more surface area for you to safely land on when you are sitting down. If you do select a stool with a wide seat and you have sliding doors to enter the tub, confirm that the width of the stool’s seat will not interfere with the door sliding open and closed, prior to ordering it. If you fatigue easily, we recommend to consider a bath chair or bath bench with a backrest for added support. Since portable-style bath seats are free-standing, they do have the potential to wiggle or tip a bit, so at a minimum you must have enough strength and balance skills to sit down and stand up from a surface that isn’t firmly fixed in place. If you do not, you may alternatively want to consider a bathtub bench; installing one of the bathtub board models that rests on the tub walls and has attachments to secure it to the wall (see the Bathtub Board Guide for more details) or a wall-mounted bath seat. Obviously, sitting while bathing is definitely safer and easier, but it comes with a drawback, which is that you will be further away from the shower head. 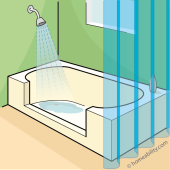 A simple remedy is to add a handheld shower head. To learn more about selecting an appropriate one for your needs, visit our Handheld Showerhead guide.